Six days of the week I walk from Euston station to the theatre and back again. It takes about 15-20 minutes each way and I like musical accompaniment. For the last few weeks I haven't been able to resist the fourth album from Kieran Hebden under his Four Tet moniker. The music matches my footsteps, helping to power me through wind, rain, snow and even the occasional dry day too. Lumbered with the 'folk-tronica' tag that never really made much sense, the appeal of his music to me has always been the organic feel that his use of sampled acoustic instruments brings to proceedings. On his latest release which is his most overtly 'dance' oriented record yet, a result of his DJ sessions at Plastic People, he still manages to retain something of that organic feel, whilst providing an evocative soundtrack for my walk through the city. Angel Echoes is a beautiful beginning with an ethereal, sampled female vocal and swirling chimes that somehow smooth over the rigid time signature. That ethereal sound is repeated several times on the album, particularly with the female vocals. Love Cry is the first bona-fide dance track, nine minutes of deep-house with the all the build-up and break-down you'd expect from a floor-filler, and Hebden's trademark harpsichord-like strings and electronic squawks and bleeps. Circling is a deceptively simple track reminiscent of Boards Of Canada, the rolling 6/8 rhythm creating what feels like layer upon layer of competing melodies circling around each other (when in fact they're all working together). Sing is another one for the dance-floor, almost seven minutes combining electronic sounds with far more ethnic-sounding drums and percussion and another ethereal vocal that sighs and reaches rather than sings. This Unfolds is another lengthy track at close to eight minutes, but with a slow, chilled-out feeling which somehow manages to contain a vast array of echoing whistles, percussive elements, and its lead melody without ever feeling over-loaded and cacophonous. Reversing, as the title implies, contained reversed samples in its short ambient pause before those DJ sets unleash the track that bears the club night's name, Plastic People. Rattling percussion shakes alongside the insistent house beats and another chimed melody. It's the kind of track that deserves a summer night, and which in a chilly February provides me with something of a Ready Brek glow. 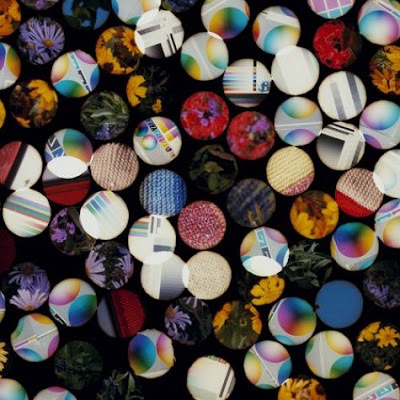 The album finishes with She Just Loves To Fight, closer to what you might have expected from previous Four Tet releases, a pleasant, sunny amble and a pleasant end to proceedings. There are two things that make Four Tet's electronica stand out for me. Firstly there is a pleasing complexity to the sounds he collages together. Each successive listen allows you to identify something new, and by focussing on one particular theme the same track can give a different kind of enjoyment each time. There is also something soulful and heartfelt about his music (literally on Pablo's Heart which is an 11 second recording of his godson's heartbeat) which makes it far more palatable than the sterility of much electronica and far more likely to entice you back for further listens. Hebden has said that he wants his album releases to be like documents of his own musical journey and this latest is like a collaborative effort between him and the Plastic People crowd, with tracks tested and developed in response to them. But included amongst those dance oriented tracks are sounds and samples that lie like hidden treasure and come from a very personal place - 'I always put little references to my life in the music I've made'. 1. Miles Davis, Birth of the Cool -- perfect for getting read for performance, perhaps even better for unwinding. 2. Dave Brubeck, Take Five -- again better on the way to the show. He broke the mold, as the show does. 3. Anything by Buffy Saint-Marie. You have probably never heard of her, but again someone who would set up the performance. 4. Ian Tyson's recent work. Since he and Sylvia split he has been running horses in the Canadian Rockies, the opposite experience to the show that you are in. All of the above is just a suggestion, of course. It is not a long walk, but perfect to experience some music. And if any of this makes sense, sometime on the way home stop in at the Museum Tavern (Great Russell Street opposite the British Museum) and say hello for me. My walk is far too mundane to deserve it's own post Kevin but I tend to walk past both UCL and the University of London, preferring the quieter Mallet Street to Gower St. The British Museum does tend to get in the way rather and I have to go around it. The idea of stopping in at the Museum Tavern is one I shall have to honour at some point. Since writing this post my musical accompaniment has been curtailed by a fault with my headphones. This has however allowed me to develop my skills at reading and walking at the same time (that quieter route has its recommendations) something that has yet to end in serious injury and only the occasional tree-branch-in-face embarrassment. Thank you for the playlist! Once my headphones are operational again I shall have to load it up. Walking and listening is one thing -- walking and reading, quite another. Good luck.